My name is James Pearson, President of The Computer Center. I’ve been working in the IT industry, with small businesses like yours, for over 25 years now. In this time, I’ve seen business owners make costly, but avoidable IT mistakes over and over again. That’s why I created this report …. to give YOU an unfair advantage over your competition when it comes to making technology decisions. 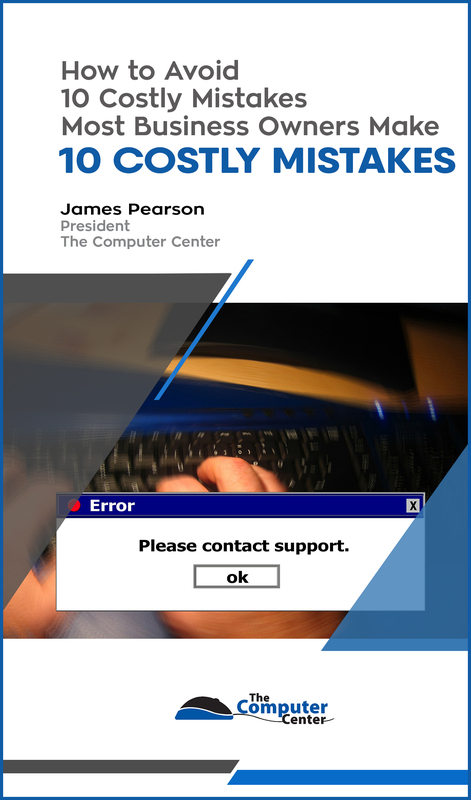 Receive The Computer Center’s FREE “10 Mistakes Most Small Business Owners Make” guide by filling out the form below!